With Christmas already trending on twitter I was the perfect time to start my reviews on the products out this year for Xmas. 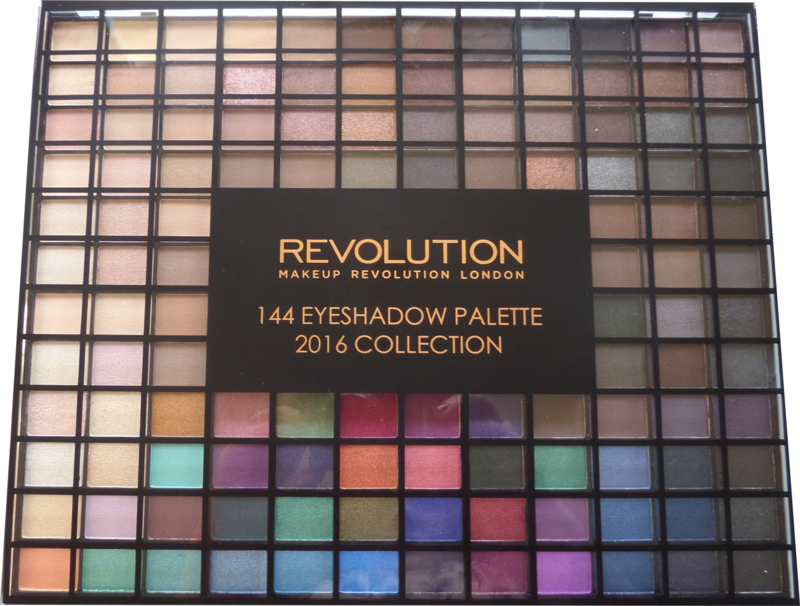 One of my favourite brands at the moment is Makeup Revolution so I have bought a few of the gift sets to test out. So my first review will be on there '144 eyeshadow Palette 2016 Collection'. 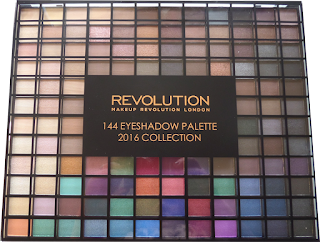 I'll start off by saying this is a great palette worthy of anybody's collection, especially for those with a smaller collection or new to the Revolution brand. There is colours in here to suit everyone as most of the shades are neutral with a subtle splash of vibrancy for a bit more adventurous looks. Even if you have every colour under the sun the layout of this palette makes it an easy option to have on your vanity for those 2minute make overs before running out the door. Pigmentation wise it is quite uniform across all the colours. Every shade is a creamy swatch with plenty of choice between the different matte and shimmer textures. If like me you like the ability to build up a shade the palette does give the option - less is more in my book. 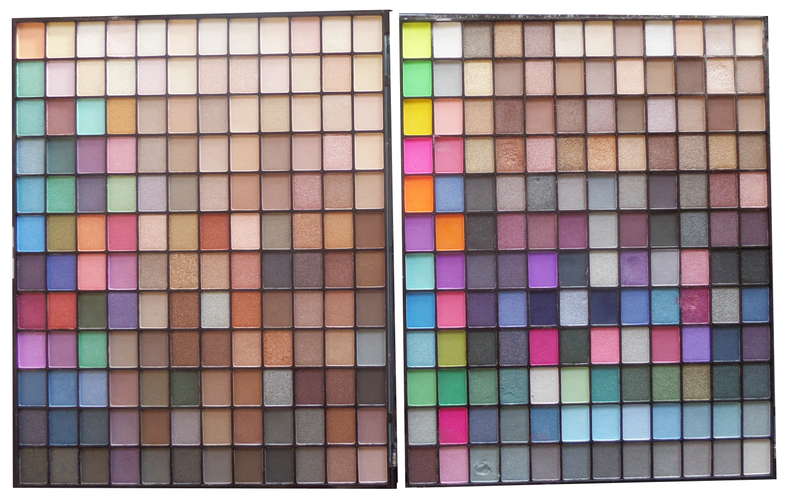 I still have last years palette to hand, so I thought id would give you an image comparison as you may have the previous year too. This years palette is more suited to those who prefer the natural shades as opposed to last years where there were more bright colour options. I do think this years layout is cleaner however. In all this would be a perfect gift for anybody, beginners and collectors alike. At £10 at the moment in superdrug its worth going to pick it up before they sell out because Makeup Revolution really has taken off this year. Will you be picking up this pallet? Why don't you let me know down below or tweet me. this is such a great palette for a christmas gift! 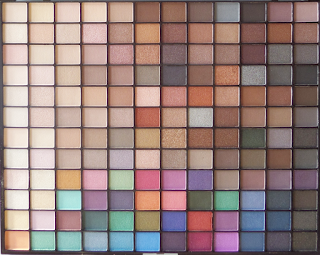 I didn't know a palette could have so many colours! So much choice! What a fantastic palette, something that's on my to-do list is to be better at applying eyeshadow as I'm useless, I'm thinking of picking up this palette so I can start practicing! 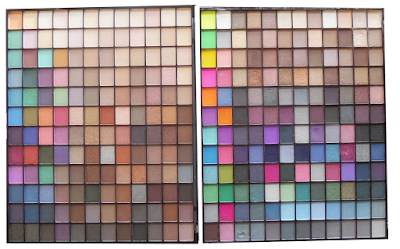 I love all the neutral shades and I' really drawn to the red shade on the bottom row! it really is a great palette! Defiantly practise worthy and lots experimentation possible with it to find your favourite combinations. It is such good value, even if you only use half the colours. 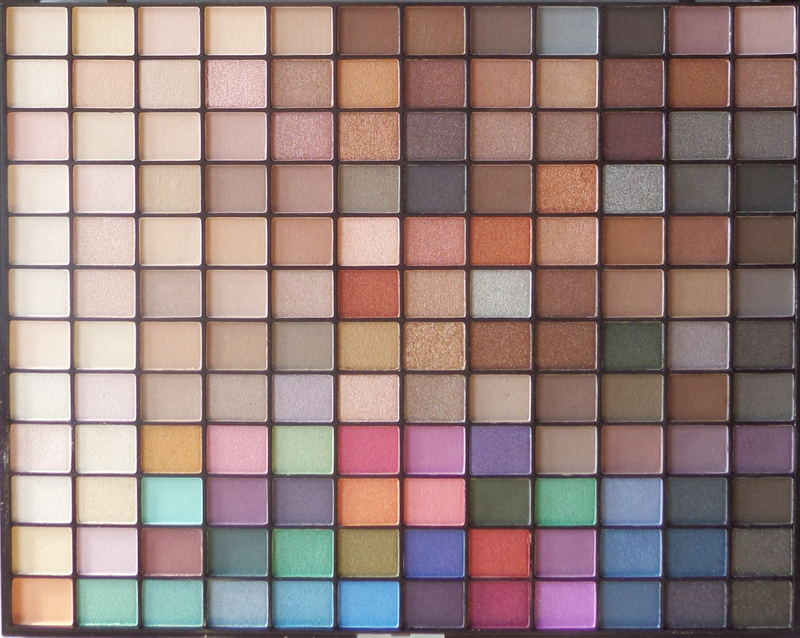 Ahh nice, I am actually giving this palette away in a competition on sunday:) I love the palette so much!